On 2nd July 2010, BBC Gardner's World broadcast 'Gardening on the Edge'; a programme where Toby Buckland set out on a coastal odyssey to meet the passionate men and women who garden on the edge. A number of coastal gardens were featured including Yewbarrow House Gardens. Enjoy this 6 minute excerpt from the episode. 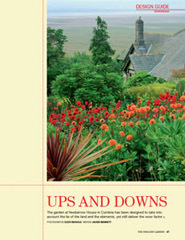 In February 2010 The English Garden magazine had a lovely 6 page spread about the 'ups and downs' at Yewbarrow House Gardens. Written by Jackie Bennett with photographs by Clive Nichols read about how our garden in Cumbria has been designed to take into account the lie of the land and the elements, yet still deliver the wow factor. This is an extract from the BBC1 coverage of the Beekeepers Garden at Hampton Court Flower Show filmed at Yewbarrow House. Beekeepers Garden at Hampton Court. 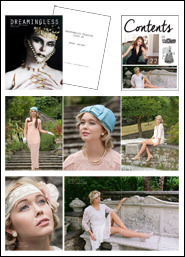 The gardens were used earlier this year as a backdrop to a beautiful photo shoot for a new magazine. The photography by Ian Walker looks stunning in print. An extract from the North West Tonight coverage of Jonahan Denby exhibiting in the Gardeners World Cup in October 2010.